The widget will provide the same real-time data as in Myfxbook. 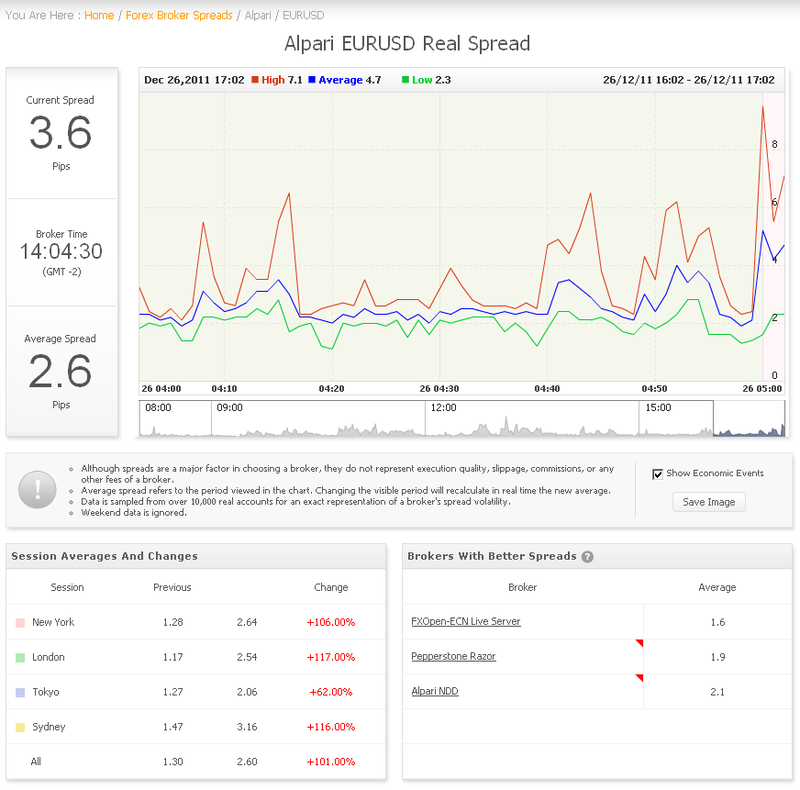 Moreover, 5 more brokers were added to the spreads comparison: Alapri US, Vantage FX, Gallant Capital Markets, AxiTrader and Ava FX. As to the contest – we’ve reached almost 1500 competitors – if you haven’t registered yet, please do so now as the registration ends in 9 days. An important update regarding the trading terms – the maximal order size will be limited to 1 lot. We’re excited to announce the first trading contest for 2012! Registration has just opened, so hurry up and register! 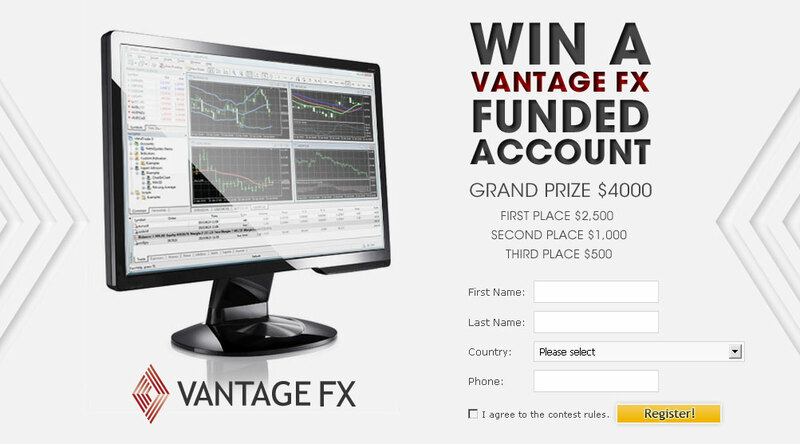 The contest is sponsored by Vantage FX, an online Forex trading arm of Enfinium Pty Ltd which is authorised and regulated by the AFSL 322081. You’ve probably seen spread comparison engines before, however there is a common flaw in those engines – they compare demo spreads which are not representative of real spreads. 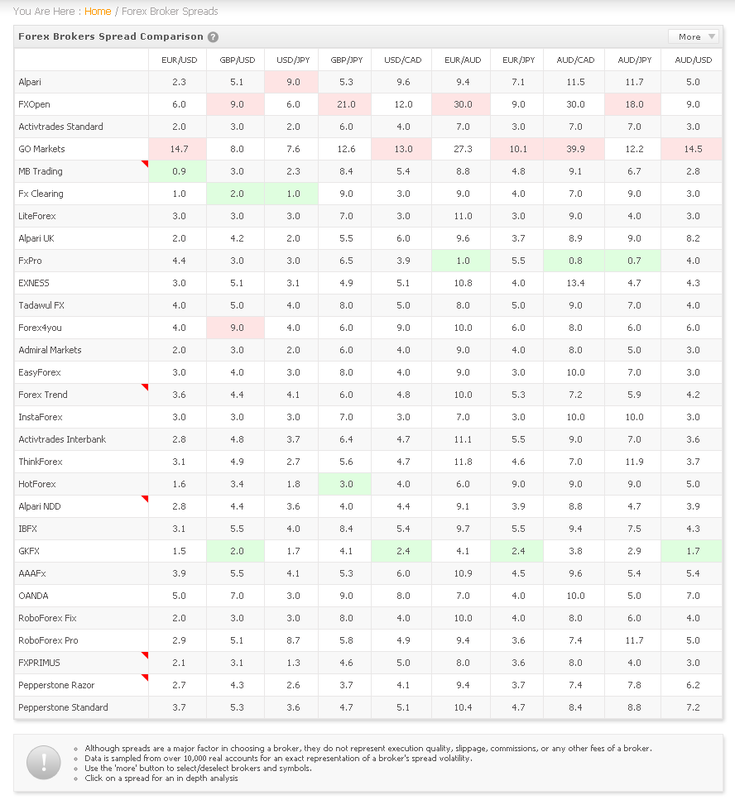 We’re proud to introduce you the most advanced real-time forex spread comparison engine out there, using real spreads only! Distinguishes between different accounts types in the same broker (fixed spreads, ECN, NDD, etc’). Determines brokers with better spreads for any time period you choose (up to 48 hours back), in real-time. Determines spread averages and changes between different trading sessions. Plots economic events on spread charts for a better understanding of a spread’s volatility. 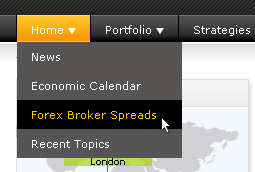 You can control which spreads and which brokers to compare using the ‘more’ button. Clicking on a specific spread will reveal the spread’s high, low and average for each minute for the past 48 hours, among other metrics such as session averages and changes, and brokers with better spreads, based on the time frame viewed in the chart. Please note that although spreads are a major factor in choosing a broker, they do not represent execution quality, slippage, commissions, or any other fees of a broker. As always, let us know if you have any suggestions, comments or general feedback. You are currently browsing the The Myfxbook Blog blog archives for January, 2012.